Beth Gibbons is the Executive Director of the American Society of Adaptation Professionals (ASAP). In this role, she is responsible for strengthening ASAP as an emerging nonprofit organization, managing relationships with its members, board and donors, and bringing adaptation best practices into the broader urban conversation. Beth brings a decade of experience in sustainable development and climate adaptation to her role. 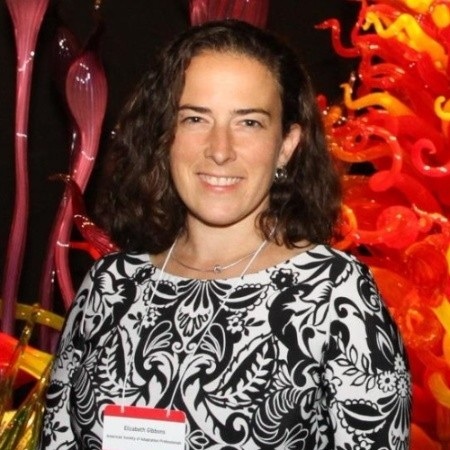 Additionally, she has nonprofit management and governance experience and is highly skilled in climate communications, research and outreach, collaborative project management, and stakeholder management. Previously, Beth was Director of the University of Michigan Climate Center and managed NOAA’s Great Lakes Regional Integrated Sciences and Assessments Center. She also worked for the Graham Environmental Sustainability Institute as a research specialist, helping develop and implement the Great Lakes Adaptation Assessment for Cities. Previously, Beth worked for the International Forestry and Research Institute and the General Federation oF Women’s Clubs supporting organization operations and communications. She served in the Peace Corps in Agodopke, Togo. Beth earned her undergraduate degree in Comparative Politics from the Catholic University of America and holds a Master of Urban Planning and a Masters Certificate in African Studies from the University of Michigan. Beth is based in Ypsilanti, Michigan.